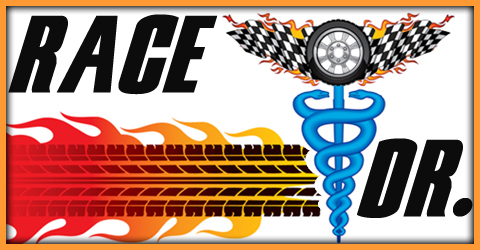 February | 2014 | The Race Dr.
My #5 driver to watch is the #1 hottest driver over the last six races, #88 Dale Earnhardt Jr. Jr. also finished Top 5 in his last two races here. Since he is coming off a major win last week at Daytona AND he knows he is making the Chase he’ll be loose and relaxed here in the desert. My #4 driver has been very successful here since they repaved and rebanked the track in the middle of 2011, #11 Denny Hamlin. In the five races following the overhaul of the track Denny has had three Top 3’s and one of those was a win. That win was in this race in 2011.
and all five races run were 18th or better. Brad’s flat track skills really show well here where he has been very consistent. My #2 driver to watch is the most recent winner here, #4 Kevin Harvick. Kevin has 24 starts, four wins and seven Top 5’s. Kevin not only won here last year in the November race, he won that same race the year before. He is here with a new team, but I’ll be looking for the same style results. My #1 pick this week is the driver who has the best average finish in Phoenix #48 Jimmie Johnson. Jimmie has 21 starts here with four wins, and 14 Top 5’s – over half! 13 of the last 15 starts here were all Top 5’s. Monday look for our preview of the Kobalt Tools 400 from Las Vegas Motor Speedway. Friday we break down the Top 5 drivers to watch in Sunday’s CNBC’S THE PROFIT 500. One race into the season Hendrick Motorsports, Team Penske and Roush Fenway Racing.start strong in the Top 3. Joe Gibbs Racing and Stewart Haas Racing round out the Top 5. Germain Racing and Hillman-Circle Sport make the Top 10 with great season debuts, hopefully they can stay there as the season rolls on. Thursday look for our Top 30 drivers for the CNBC presents the Profit 500 from Phoenix. Top 10 drivers on Flat tracks, Wednesday we rank the Top 10 teams and Thursday look for our Top 30 rankings for CNBC’s THE PROFIT 500 from Phoenix Int Speedway. What a place to for the first flat-track race of the year: a 1 mile flat-track where every turn is slightly different. There is no such thing as “get your car right and cruise around.” Most drivers have a good set-up for turns 1 & 2 or for turns 3 & 4. Some try to get a compromise in between both, and some drivers are simply trying to find any set-up that gets them fast and keeps them off the wall. No matter what your strategy is, this track can be very, very tough. Rookies typically struggle here. This will be the sixth race run on this new configuration, it has been slightly re-banked and widened with the backstretch increased. From 1988 to 2002 Ford won eleven of the fifteen races, since then Chevrolet has won 15 out of 18 races and eight of those wins were Hendrick Motorsports. Regardless, after all the hoopla that surrounds Daytona, it will be good to get back to good ol’ flat track racing. Tuesday look for our Top 10 Drivers on a flat track. Here are the pre season Top 30 picks.